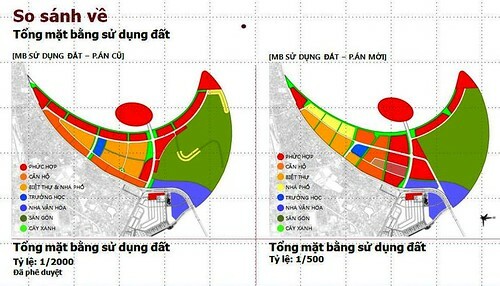 VNRE – On August 30th, Department of Planning – Architecture of Hanoi and Tu Liem District People’s Committee announced the detailed plans ratio of 1/500 of the park combined with 5-star hotel, commercial center – PetroVietnam Complex. 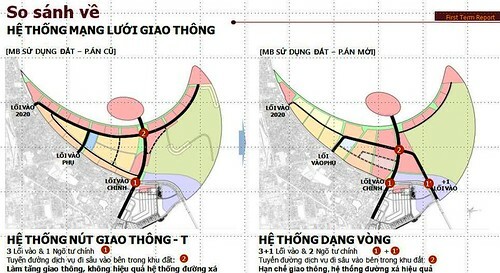 Planning area is located in the west of the city, Me Tri commune, Tu Liem district. 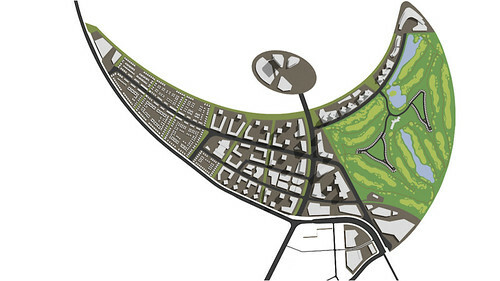 The size is about 39.8 hectares, in which 6.5 hectares land is used for shopping centers and PVN Tower. 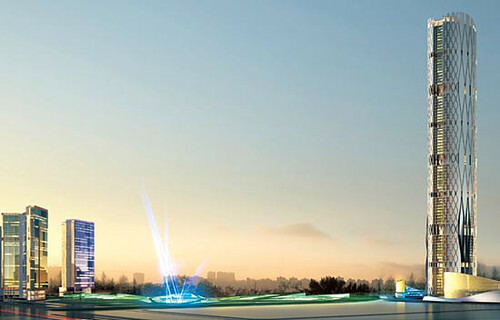 The PVN Tower will be built 102-storey, this is the symbol of PetroVietnam Group with the square space, trees, water. This land will be arranged the underground space with basement 1st for public serviced and trade; Basement 2nd-5th for parking and technical. PetroVietnam 5-star hotel was arranged into three blocks from 24-30 storeys high in the southwest of planning area, crossroads of Lang-Hoa Lac road and the Museum of Ethnology – Yen Hoa – Phu Do. VNRE – Kumho Engineering & Construction is making moves to normalize its business as quickly as possible. The Korean builder is in fact seeking ways to do so through their foreign business which they resumed this year for the first time in 22 years. 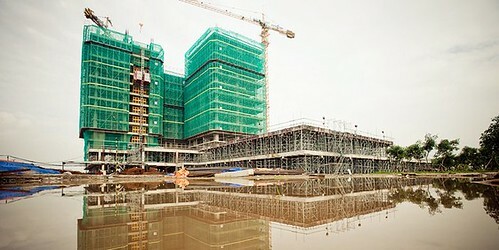 T he builder’s foreign business is mostly focused in Vietnam at the moment. 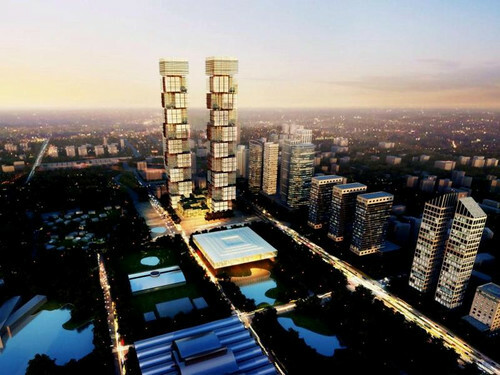 It has already embarked on constructing Times Square, a luxurious multi-purpose building for residential and commercial uses in Ho Chi Minh City, after signing a formal contract with the Times Square Investment Joint Stock Company on April 26. 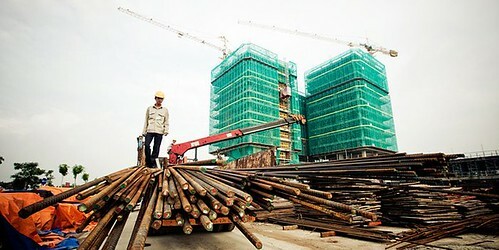 Alongside Times Square, the Korean builder is expecting to win orders for four more major projects in Hanoi. 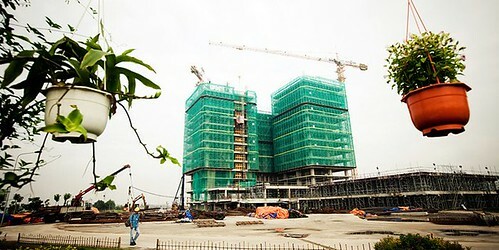 They are construction of the Kinhbac Hanoi Tower; the Star City Center; the Star City Reban Le Van Luong and the Novotel Hanoi. Kumho E&C’s Vietnam projects are notable in that the builder found a way to stabilize its business through them. 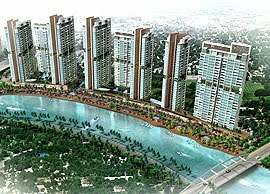 Alongside the five above mentioned projects, the builder is carrying out constructions for apartments Sunrise City Plot V and Sunrise City Plot W in Ho Chi Minh City’s new residential area Phu My Hung. Such opportunities overseas are especially valuable considering the local housing market’s condition, which is likely to remain dull for the rest of the year and thus make it tough for builders to make a breakthrough. The builder made its special alliance with Vietnam largely thanks to its spreading advanced construction culture there, rather than just focusing on making profits. In addition to the construction business, the company is actively engaged in community services such as building homes and offering scholarships for the poor, it said. “The success of foreign projects depends on whether we can form a solid partnership based on mutual trust with our counterpart,” said Jang Bok-sang, the head of Kumho E&C Operation and Management Division. The Kumho Asiana Plaza in District 1, Ho Chi Minh City, which was built last year played a critical role in introducing developed construction culture to Vietnam. Alongside the building itself, the builder also organized eye-catching fence designs as well as an eco-friendly surrounding environment. The $11 billion-worth Times Square will be established on Nguyen Hue Street in Ho Chi Min City, which is one of the city’s hottest shopping areas. 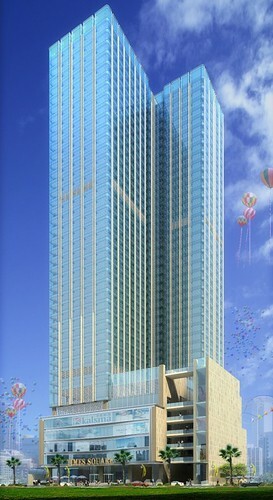 The 38-story building will consist of a hotel with 315 guest rooms, 108 apartments, offices and commercial facilities. The construction of Times Square is expected to cost over $101 million. Since winning the Times Square contract, Kumho E&C has also signed a LOI with the Kinh Bac Urban Development Joint Stock Corp to build the Kinhbac Hanoi Tower. The two companies just have to agree on the final construction cost. 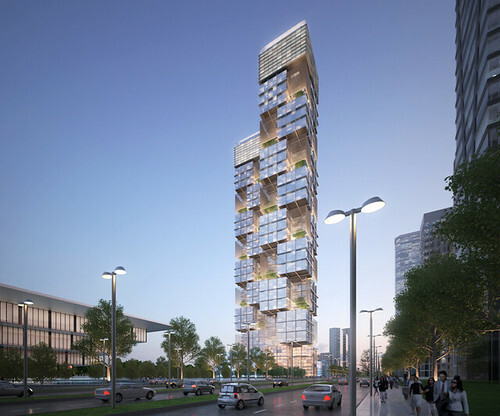 A $5,000 high-end multi-purpose construction, the Kinhbac Hanoi Tower will become Hanoi’s biggest finance tower when completed, according to the builder. Kumho E&C is expecting to win two more orders in Hanoi. It recently signed LOIs for constructing the Star City Le Van Luong and the Novotel Hanoi. “Our company has now become stabilized unlike when we announced our debt-workout plans (early this year) and thus has grown confidence and a sense of unity internally for winning more orders abroad,” a Kumho E&C spokesperson said. 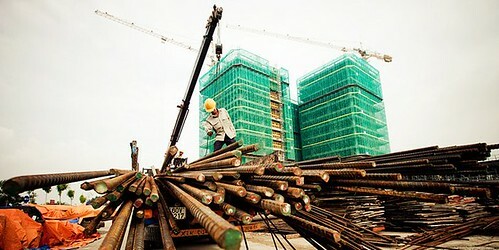 The builder said it aims to win overseas orders worth 80 billion won this year. “We think there will be no problem for us to accomplish our goal figures considering the strong company reputation we’ve been building in Vietnam until now,” the company spokesperson said. The Korean builder is also considering extending its foreign business in the Middle East where its name has been gradually gaining acclaim over the years. It plans to start off in the United Arab Emirates, where its plans to participate in an airport construction project. 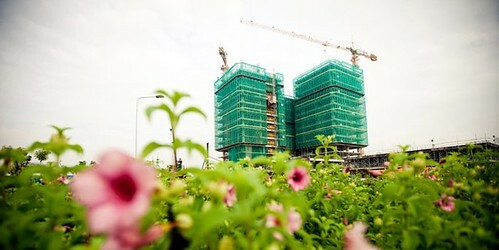 VNRE – At Diamond Island, instead of dust and soil, almost the construction area is colorful flowers as well as pines and other trees covered the green space. Winding springs covered pine hills. Especially, there was a green house on the island to ensure the green plants for the island before infrastructures and buildings finished. 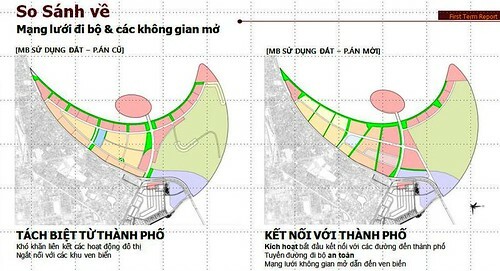 VNRE – Hanoi Council of Architecture and Planning has collected suggestions from the experts on the design for Lotus Hotel projects at Me Tri commune, Tu Liem District. 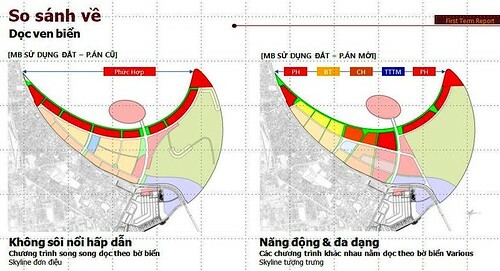 According to the initial proposal, this hotel will be one of the “roof” of Hanoi in the future with 400m height. 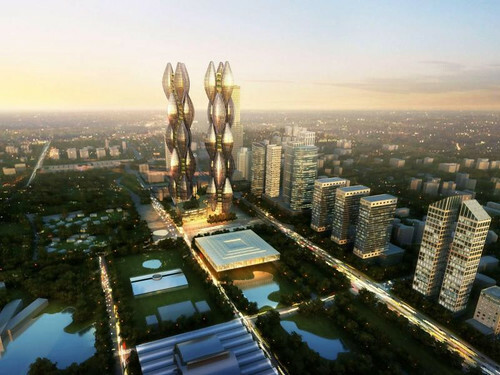 Proposed architecture with the symbol of rice flower (associated with rice civilization history of Vietnam and is the symbol of the rich), the hotel is built on an area of 19,000 m2, density construction of approximately 47.8%, gross floor area of 640,000 m2, 6 basements for parking lot. Hanoi Lotus Hotel project is invested by Kinh Bac City Development Share Holding Corp (KBC), with a total investment of $500 million. 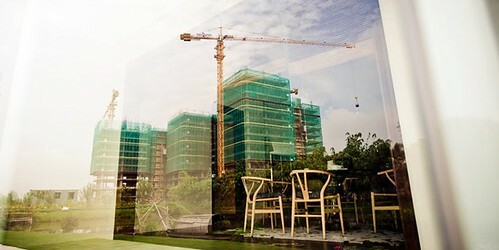 VNRE – The evolution of the Vietnamese real estate market in the first half of this year and gloomy forecast for the remaining months have frustrated many investors and brokers. 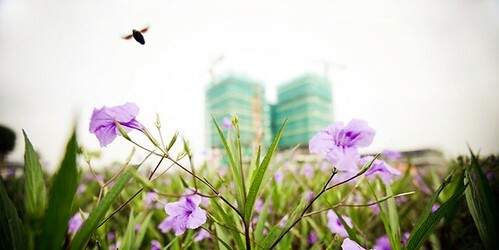 However, as an experienced expert and manager in this sensitive market, Mr Vu Xuan Thien, Deputy Director of Housing and Real Estate Management Department under the Ministry of Construction, predicted that the currently fluctuating market will warm up toward the end of the year. 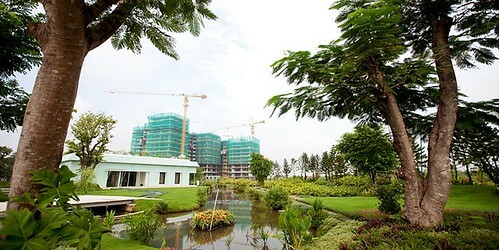 Mr Thien said the real estate market in the first six months of this year was complex and volatile. Especially since April 2010 when margin gold trading floors were closed by authorities’ orders and declining credit interest rates, the property also slumped. In fact, the real estate market in the first half of the year was pregnant with factors of instability, the supply was relatively abundant but most products were unaffordable for a majority of people. In addition, speculative, price-blowing activities and psychological investments caused some abnormal fevers, especially those happening in the west and north of Hanoi. In some areas in the capital city, the price climbed 40 percent in April in compared with the same period of 2009. Why did price-driving activities and herd-oriented investments cause the sudden freezing in recent months? There are many causes for the market slump. I think the market is ‘stopped”, not plunged. Prices of many segments do not reduce much. The market witnessed a price-blowing movement which caused a price surge. But, when the authorities probed the cause for the unusual surge, investors started to weigh up their investment decisions. Furthermore, the Government’s Decree 71 is proven to support the people; thus, many have decided to wait for new instructions from the authorities. When the instructive circular is issued, the market will recover. But, why did the market slow down? Why did the price remain high although the market also had very few deals? In fact, prices have also slowed down. In general, prices in many places were not as high as in times of fevers. The price still stays high in business districts as the demand exceeds the supply. Prices in suburbs are not high but they have not returned to real prices. What makes real prices? Where should they be? In fact, prices are regulated by the market. Prices are real if they are not the outcome of bubbles or rumours. Price rates are made by the market as they depend on the point of time, location and demand. In general, prices have close-knit relations with the supply, which is quite abundant at the moment. However, a majority of customers are unaffordable to real estate prices. It is said that bad investor behaviours are caused by improper management and sanctions on violated transactions. Besides, the people know too little about buying, selling and project information. What do you think about this? There are no light-handed sanctions. In fact, everything has its own roadmap and the process of awareness changes. Previously, management bodies did not directly instruct and control on-floor transactions. After the Decree 71 takes effect, this shortcoming will be remedied. In the coming time, we will classify real estate trading floors. There will be circulars to classify trading floors into the first class, second class and third class. The unclassified ones will be common trading floors. As regards information, we regularly update on related trading floors and on the Ministry of Construction’s website. However, keep the information more updated and accessible for the people, we will release reports and evaluations on market in specific periods. The Ministry of Construction has assigned the Housing and Real Estate Market Management Department to work with the Construction Economy Institute to make such reports. The Housing and Real Estate Market Management Department has been established for a relatively long time and has issued many management policies. So, why is the real estate market considered sensitive and non-transparent? Actually, the real estate market is always sensitive worldwide because it leaves a huge impact on the economy of each country as well as each locality. Therefore, the decrease or increase in property prices will largely impact the economy and society. Most of world economic recessions were rooted from the real estate market. The stabilisation of real estate market is extremely important but very difficult. Besides, the transparent use of capital in the real estate market is of concerns because this is a favourable place for money laundering. In the coming time, we will organise seminars on money laundering in real estate. The information is still available but people still prefer purchasing on herd psychology and rumours, making information confused. If investors buy or sell on trading floors, the market will be soon transparent. But, as I said, many companies do not need to bring their products on trading floors to sell. Of course, mechanisms and policies need to the time to come to life. 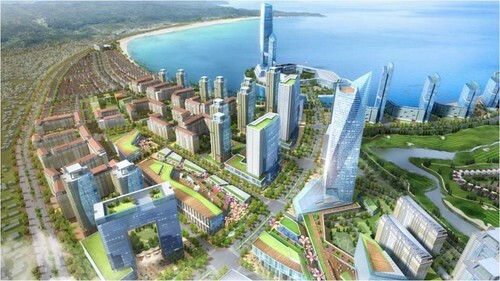 VNRE – On 27/8/2010, Joint Stock Commercial Bank for Foreign Trade of Vietnam (Vietcombank) and the Vinpearl Da Nang JSC (a member of Vingroup) signed a credit contract worth $35 million financing for the Vinpearl Danang Hotels and Villa project. 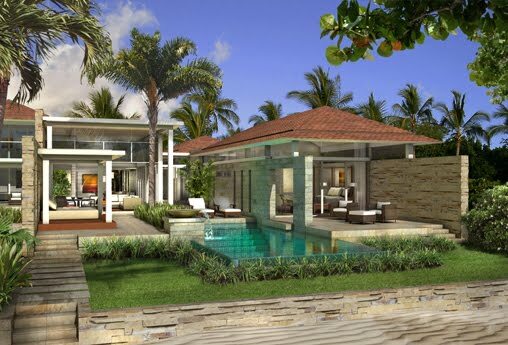 As expected, the project will go into operation in the early 2012, this is one of the most luxurious resorts in Da Nang with the six-star equivalent quality, including a 209-room hotel and 39 seaview villas. 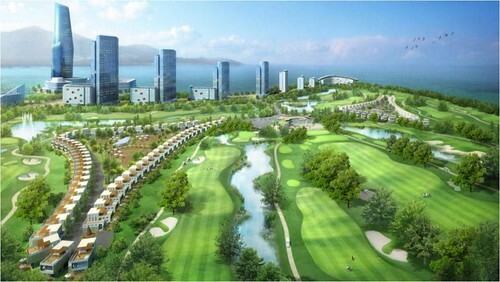 Along with this sponsorship packages, Vietcombank will spend a budget of $20 million to provide loans for customers who want to property villa in Da Nang Vinpearl Luxury Resort & Residences, with many favorable conditions as the rate for loans up to 90% of villa’s value, and 15 year loan period, competitive interest rate. 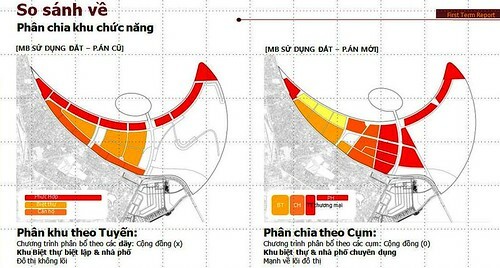 VNRE – Da Phuoc Newtown had been originally established according to Danang City Development Plan and promoted by a Korean construction company. 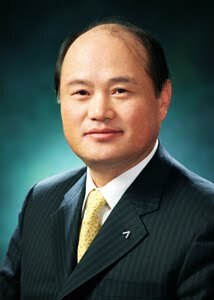 However, through the influence Of IMF 1997, the Korean company encountered some difficulties to execute the project and finally Decided to resign it. 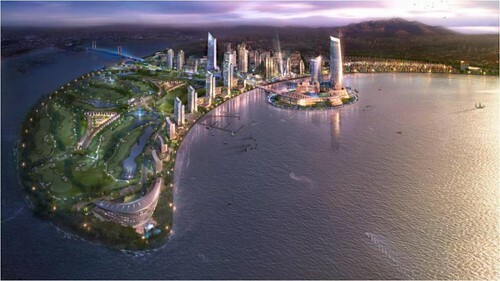 Thereafter Danang tried to re – promote the project and Daewon took a good Opportunity to sign the in – principle contract of City Development with Danang in 2006. Da Phuoc Newtown is being built on the total area of 210 hectares in the west of Thuan Phuoc bridge, Hai Chau District, Da Nang City. The complex includes the resorts, 18 hole golf course, marina, international hotel, conference center, the office building 60 stories high, the commercial centers, villas and highclass apartments. 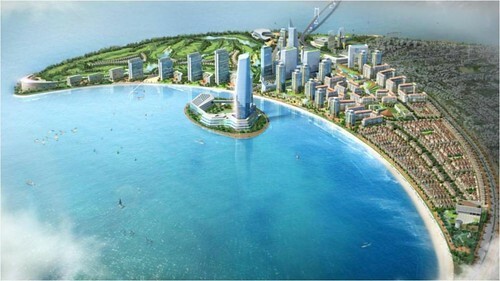 About 180 hectares along the Danang Bay were leveled to serve this project. The project was officially started on 29/02/2008 and expected to be completed within 10 years. Design by Haeahn Architecture Inc.